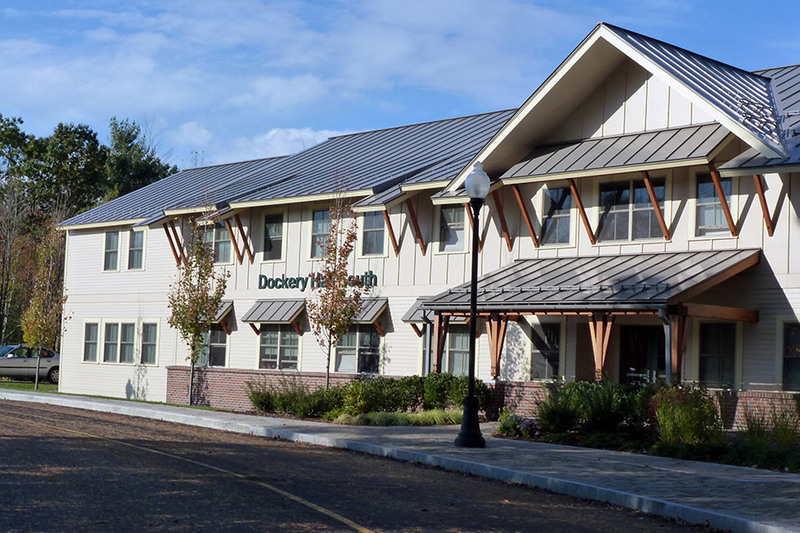 Landscape Elements LLC provided landscape architectural design services from site analysis to construction administration for a 26,500 square foot dormitory building at the Winchendon School. The design focused on sustainability and integrating building into the site’s natural features, capitalizing on views to surrounding wetlands. 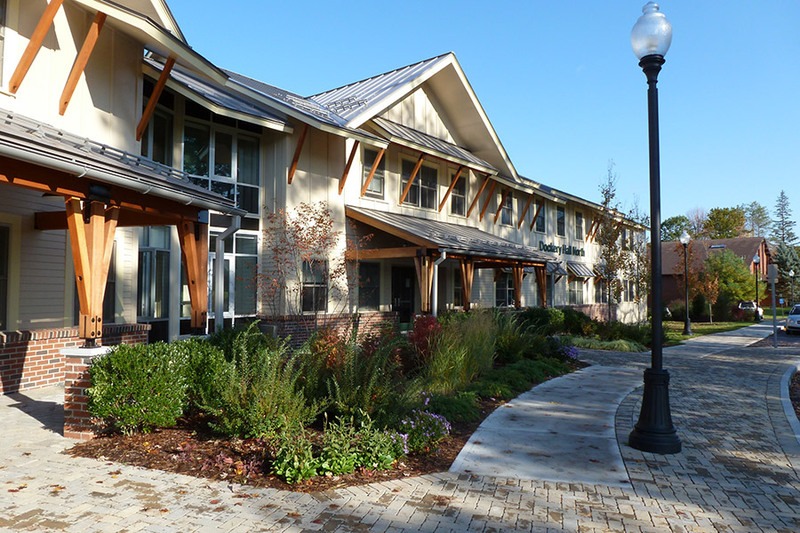 Plantings immediately around the building were selected for their sustainability through harsh winter and hot windy summers, their resistance to disease and pests, their drought tolerance and their seasonal and textural interest. 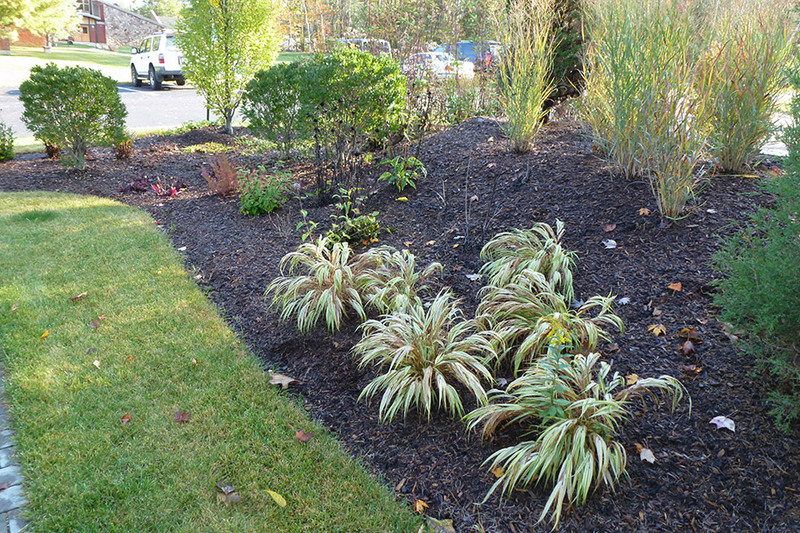 Sustainable landscape principles are integral to the design and include the use of permeable pavements, channeling of surface storm water into planting beds where feasible and native plant material can thrive. 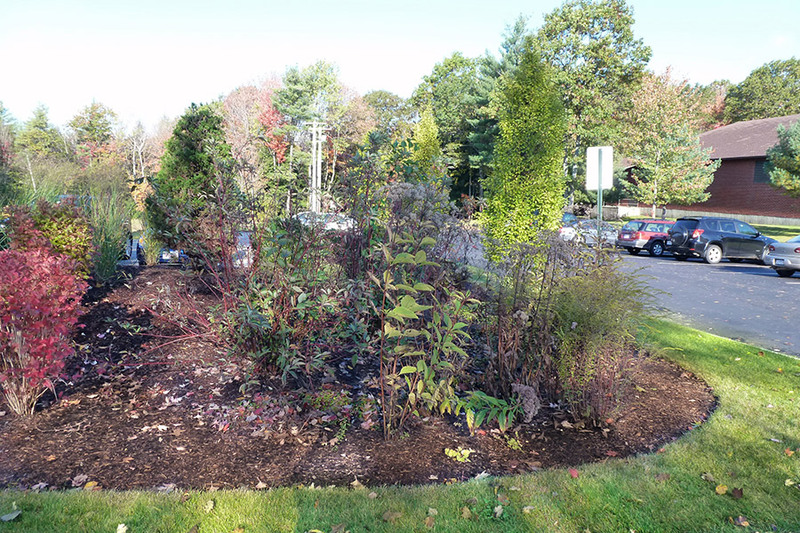 The native plantings provide an educational opportunity for the students to learn about biodiversity. The wetland mowing edge is defined by bird houses that provide nesting locations for native birds.